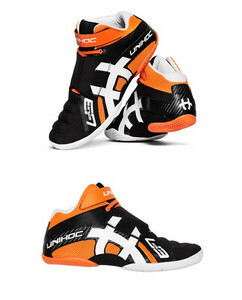 A brand new collection of indoor shoes for Unihoc floorball goalkeeper. Unihoc U3 GOALIE resistant lightweight goalie shoe that was designed to enhance mobility and comfort goalkeeper. Carefully selected materials to ensure durability and unsurpassed flexibility also meet the high demands for speed floorball.